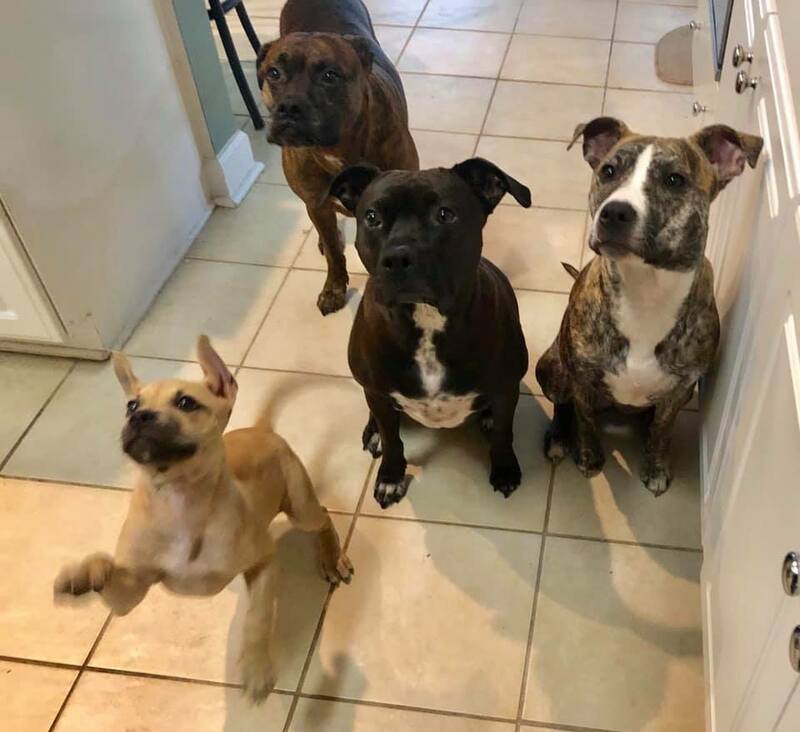 In December 2018, Jen Deane, the president of animal rescue group Pit Sisters, received a call about five pit bull puppies in a rural Georgia shelter. 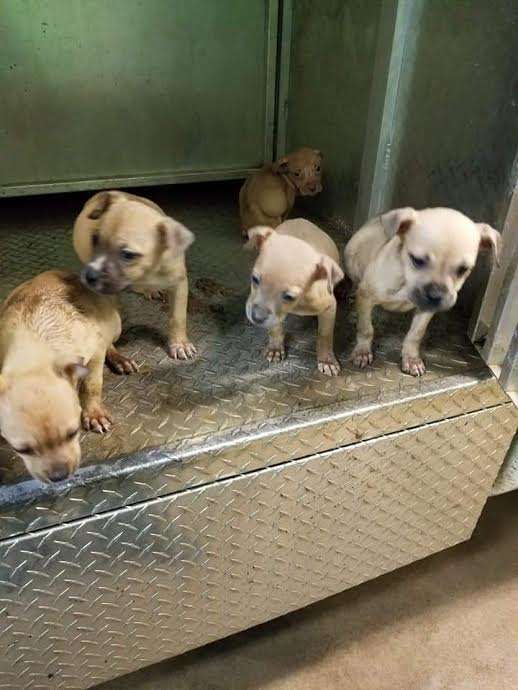 These puppies were about five weeks old, and the shelter guessed they had escaped from a neglectful owner. All five puppies were skinny and dirty, and they had worms. Deane quickly agreed to take the puppies in and provide them with the veterinary care they needed. 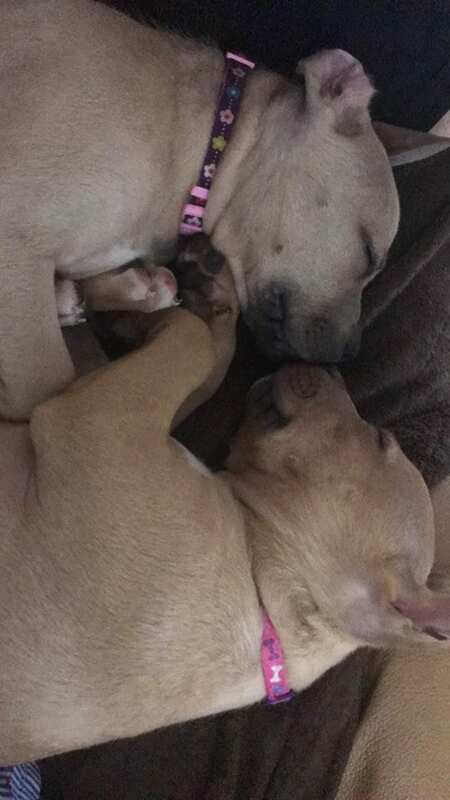 Soon, the puppies arrived at Pit Sisters’ rescue center in Jacksonville, Florida. While all five puppies were cute, one of the puppies had a very unique look. This adorable puppy had ears that looked just like cinnamon rolls! 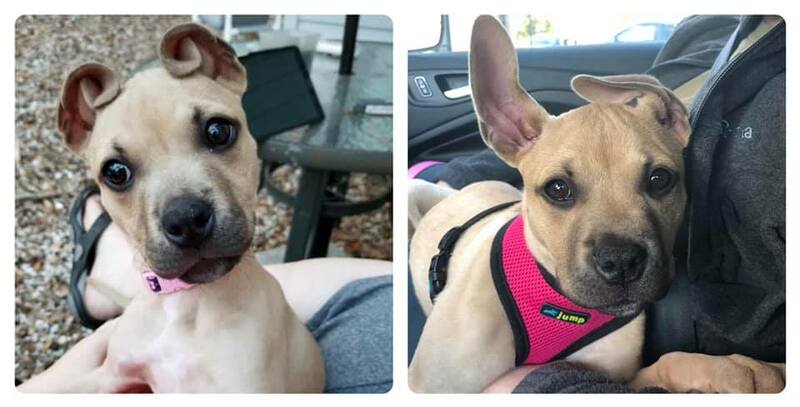 In all her years rescuing animals, Deane had never seen a puppy with such unique ears. 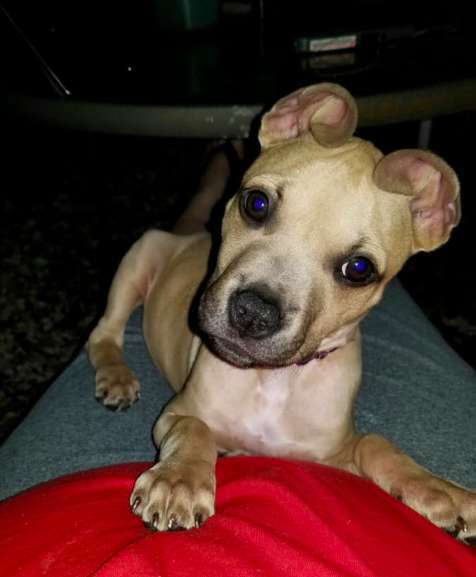 Deane named the puppy Cinnamon after her ears, and she posted a photo of the pup to Pit Sisters’ Facebook page. 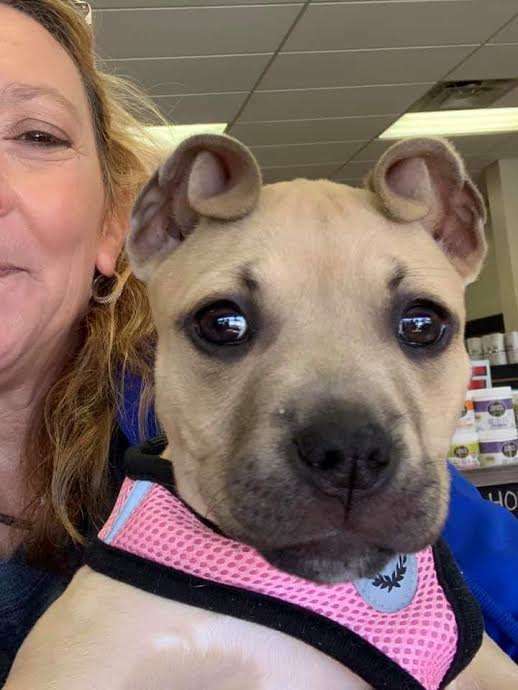 The photo quickly went viral—everyone was stunned by the little puppy’s curled ears. “Just needs a big bow in between to be our new ’40s pin up gal,” one Redditor said. Pit Sisters said that Cinnamon has a big personality to match her quirky look. 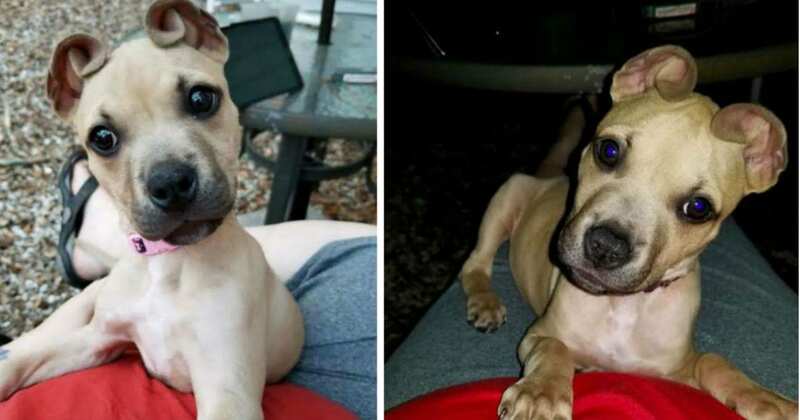 After Cinnamon went viral, Pit Sisters received tons of applications for her. After looking through all the applications, they found right forever home for the famous pup. Cinnamon is now happily living with her new parents, the McGoverns, in St. Johns, Florida. The McGoverns have three other dogs, and Cinnamon absolutely loves having so many siblings to play with. Cinnamon’s ears are now starting to uncurl, but she’s still as cute as ever! Cinnamon isn’t the only one of her siblings who’s found her forever home. Deane fell in love with her brother Zeke, and she decided to officially adopt him. Deane is now working on findings homes for Cinnamon’s three other siblings, Dorothy, Matilda, and Hermie. The three puppies are currently in a foster home together. 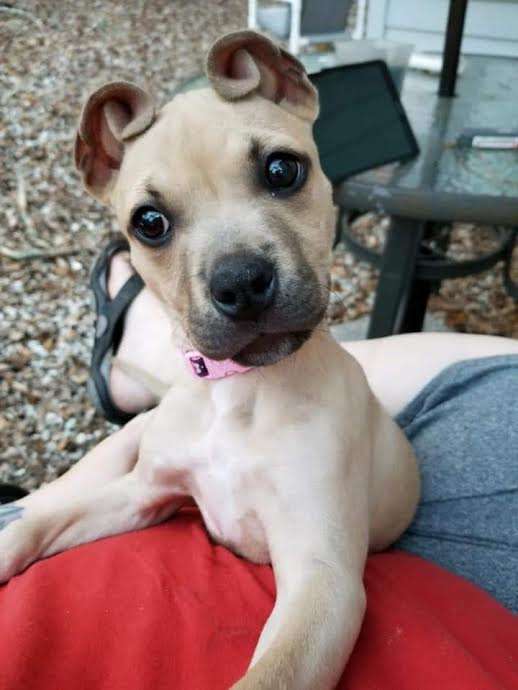 Cinnamon and her siblings are all adorable puppies who have great lives ahead of them! If you want to help Pit Sisters with their lifesaving work, consider donating to their organization.